(great name!) were founded in 1974 for ‘recreation and refreshment’ which is a good enough reason for me. They (well, 9 of them) visited Spring Lane on the 17th of August and were good enough to provide your correspondent (who was otherwise hung over engaged) with match details. GCC triumphed by 6 wickets in spite of a Kennedy, ‘Gerry’ and Lane completing their numbers. Richard Heller, the man behind the Erratics was kind enough to let us have some of his excellent photos which will be displayed here as soon as I’ve mastered the ‘Media Uploading’ process for the GCC site. 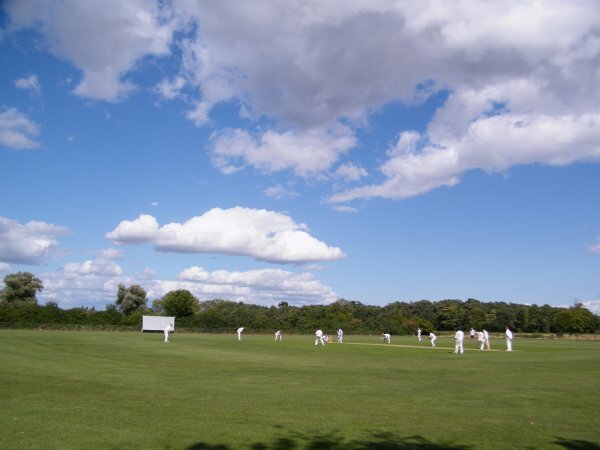 Richard also provided this match report which I have paraphrased in view of the writers’ (collective) block which seems to have befallen GCC’s cricketing finest and WAGs. Thanks Richard, we will forgive the ‘stodgily’, just this once…. Now it gets more interesting, report writing-wise as the London Erratics were kind enough to provide the GCC scorecard which has allowed me some plausible deniability…. 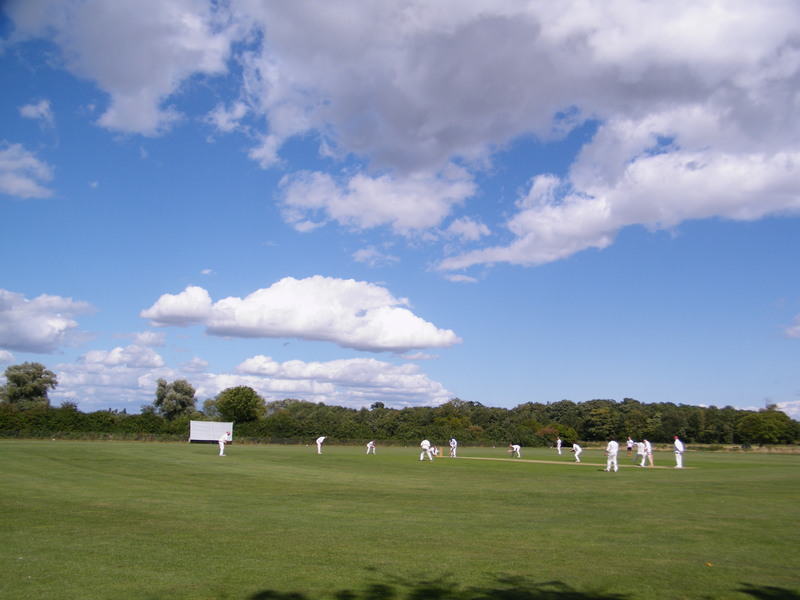 Grantchester’s response was led by a brisk opening partnership between 1 and 2 who both clubbed their ways to rapid 30’s. Retirement then beckoned, presumably to give other team members a go, (somewhat different from my last match, I could add). Then the ‘we are at one’ with the England team moment set in as the middle order sank without much of a trace. Although, to be fair this mayhem could well have been instigated by a 1-22, 2 over cameo from Kennedy. Fortunately, all was not lost as 7 stopped the rot, Root style, with a retirement worthy 30 odd (and some shots were definitely odd apparently). Carrying on, 8 & 9 were not intimidated by having to face leading wicket taker Berrigan as GCC romped/scraped (delete as per personal preference) home with 30 odd balls to spare. Retirement then beckoned for all as the 22 odd players plus retired in the direction of club HQ to work on diminishing the ale and rose stocks. We look forward to seeing you all again, Erratics!